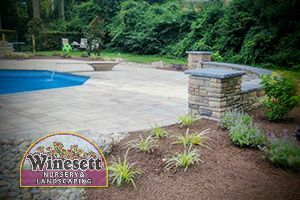 Here at Winesett Nursery & Landscaping, we offer a wide variety of different, high quality landscaping services in the Virginia Beach and the Chesapeake areas all designed to help our customers maximize the function, value, and overall appeal of their properties. 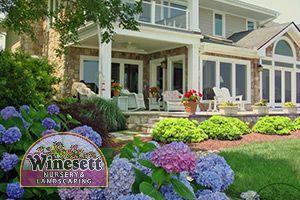 With over 35 years of professional experience serving the landscaping needs of our local customers, our team of landscape design and installation specialists know what it takes to deliver the high quality results that you need, time after time, no matter how simple or complex the project might be. We understand just how important your property is, and how important it is to ensure that your home’s landscaping is always looking its best, which is precisely why we work so hard to ensure that you always have access to the high quality landscaping services you need for your home. Our team of experienced landscaping pros will work with you directly to ensure that you get the exact kind of service you need to accomplish all of your landscaping goals and make sure that the results are something you and your family will be able to enjoy for a long time to come. When you are looking to make a change to the exterior areas of your property, investing in a bit of professional landscaping might just be one of the best investments you ever make. The right landscaping elements can add a great deal of additional value to your home, as well as improve your home’s curb appeal, and just make it a more enjoyable place for you and your family to spend time altogether. Our team of Virginia Beach landscape design professionals can provide you with all of the high quality landscaping services you need to make the most of your property. Are you looking for a high quality landscape designer that can help you bring your landscaping to life? 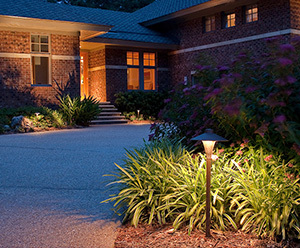 We understand how to leverage landscape lighting to enhance your yard’s overall aesthetics. With the right landscape lighting design, you can put your beautiful landscape on display for the world to appreciate just as much as you do. 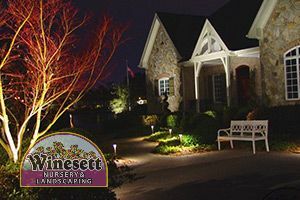 Whether you’re looking to highlight your favorite landscape features or simply add walkway lighting, Winesett Nursery & Landscaping is always ready to assist you. While it might seem to some that the process of installing a new landscape on your property is as simple as a trip to the garden store and a weekend of work, there is actually a great deal more that goes into it. A good landscape installation starts with a great landscaping design, and with the help of our team of landscaping professionals, you can get just that. Our team of professionals will work hard to help you get the high quality landscape installation that you need for your property, and that your finished project is something that you and your family will be able to enjoy for many years to come. Having a system in place to make sure that your new landscape is properly watered is absolutely essential if you plan on being able to enjoy the results of your project for any length of time. 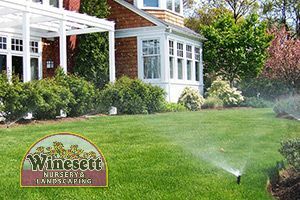 Having to manually set up a sprinkler system every time your property needs water can be exhausting, which is precisely why our team of professionals offer a wide range of professional irrigation services to help you put a system in place that will allow you to keep your new landscaping properly watered in the most efficient manner possible. With our help, your new landscaping can have all the water it needs to thrive at the flip of a switch with one of our expertly installed lawn irrigation systems. If you are looking for a great way to highlight your outdoor spaces, increase the security of your property, and just overall increase the function of your outdoor landscaping, it might be worth looking into all of the benefits that come along with high quality outdoor lighting. With the help of our team of landscaping professionals, you can get the high quality outdoor lighting options that you need to truly take your landscape design to the next level. We have a wide array of different lighting options and styles available for you to choose from, so no matter what kind of effect you are looking for from your property, our team of experts can help you find it. Just as important as making sure that your landscape has access to all of the water it needs to thrive, you need to be certain that you have a system in place that allows that water to drain off of your landscaping when it starts to pool and build up. 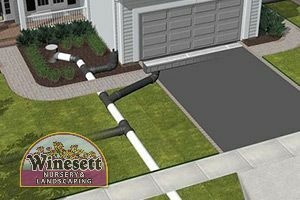 For that, you want to be sure that you have a properly functioning drainage system in place so your excess water has somewhere to go rather than just sit around on your property. Standing water can be harmful to your home’s landscaping as it provides a breeding ground for certain pests during the summer, and can freeze in the winter, killing off your grass and other plants. There are few things that can bring the same level of elegance and beauty to your landscape that a professionally built hardscaping feature can. 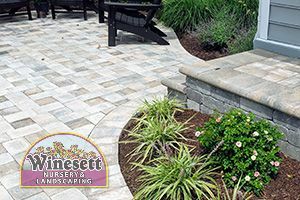 Hardscapes cover a variety of different features, ranging from retaining walls, to new patios, stone pavers, fountains, and the like, and with the help of the right team of hardscaping professionals in Virginia Beach, they can give you a significant boost the the value of your home and the overall beauty of your property. Investing in a new stone pavers patio or sidewalk might just be one of the best investments you ever make in your property. With the help of our landscaping professionals, you can have that dream patio space that you’ve always wanted to host your backyard cookouts, or just to give you and the family somewhere to relax together at the end of a long day. 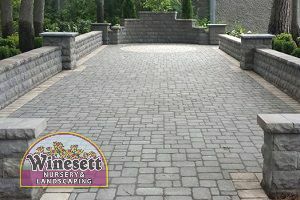 A new stone paver patio gives you an easy to maintain outdoor social area, and provides you with a visual aesthetic that just can’t be replicated. Our team of professionals will work with you directly to help you come up with a custom design for your new patio that you and your family will be able to enjoy for many years to come. A new deck or fence can be a wonderful addition to your home, but only if you make sure that you have the assistance of a team of professionals you can trust the get the work done right, and get it done right the first time. 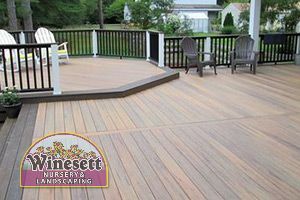 Our team of landscaping professionals can provide you with the high quality service you need to get that new deck space or privacy fence that you have always wanted for your property. Not only can either of these projects help to improve the overall beauty and value of your property, but they can also add a great deal of function that you might have been missing in your outdoor spaces. If you are like most homeowners with a pool, you get a lot of use from your pool deck area. Whether you make use of it frequently to host backyard cookouts, or you and the family just enjoy sitting out, catching some sun, and relaxing together, it is important to make sure that you keep your pool deck in good shape, as the weather can really start to cause a great deal of wear on it over time. 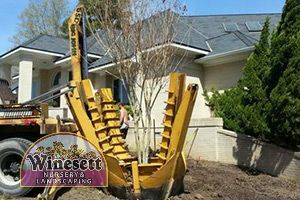 If you are looking for a company that offers top quality landscaping services in the Virginia Beach area, please call Winesett Nursery and Landscaping at 757-426-7880 or complete our online request form.